Welcome to Natural Balance Podiatry, you are at the right place if you need help with your current foot, leg, or back related issue. Our practice was established around 35 years ago, and has been in 76 Byre Avenue, Warradale for over 5 years. The main practitioner is Dr Norman C Scott, and recently Josh Nankervis has joined Natural Balance Podiatry. Our practice offers our patients a wealth of experience . We have treated a diverse variety of patients from all backgrounds and ages from 3 year olds to patients that are over 100 years old. With many different and sometimes quite complex foot, leg and back problems. 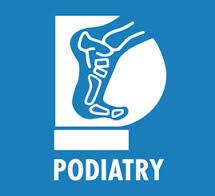 A lot of our work involves accurate diagnosis and problem solving, which I feel we are very good at; as this comes only with many years of clinical experience and keeping up with the latest advances in the podiatry field. At Natural Balance Podiatry we like a challenge and we certainly get plenty of those at this practice. Many of our clients are not “text book” in fact in many cases this couldn’t be further from the truth. Our approach is very different from many other podiatry practices; perhaps I should use a few examples to illustrate this. When it comes to treatment we do not believe that hard, rigid, and potentially uncomfortable orthotic devices are the universal panacea for all foot problems! There are many other treatments available, and if you do happen to need orthoses we use much SOFTER devices which are very comfortable to wear, and guess what, we get GREAT RESULTS with them! Norman as well as being a podiatrist is a registered Chinese Medicine doctor, so he can offer a slightly different approach to some conditions. For example if a patient comes in with chronic pain he may offer a course of acupuncture or prescribe herbs for the problem. In other cases it might be a combination of conventional podiatry treatments with acupuncture, a potent combination! For example heel pain (plantar fasciitis) is very common in the community. We have learnt over many years the secret to a successful outcome with this painful problem is reducing tightness in the calf muscles, and the latest research certainly supports this. In the clinic acupuncture is used to relax the affected muscle, and then a special muscle release technique is performed, this increases normal range of motion at the ankle, and reduces stress on the plantar fascia. Yes our approach is different perhaps even unconventional, but we get great results! We use a diverse range of treatments in the clinic, tailored to suit the individual, and patient preferences. When ringing the clinic for the first time a half hour appointment will be made. During this appointment a medical history will be taken, foot examination, assessment, and treatment will be carried out. Any necessary follow up visits, or referral for X rays, diagnostic ultrasound scans, are discussed at this time. No referral is necessary in most cases, except for DVA, Medicare, and workers compensation patients. Private health insurance – no referral is required. Levels of cover vary from fund to fund, please contact your fund for your individual level of cover. Medibank Private clients receive a discount on treatment and a 15% discount on all orthoses. On the spot claiming is available and Eftpos, Bankcard, and Visa cards are accepted. Department of Veterans affairs – a referral is required for the first visit only and ongoing treatment is organised by the podiatrist after this. Medicare – a doctors referral is required and this will last for 12 months. Up to 5 visits may be allowed in this period (this service is only available to patients with Enhanced Care Plans). Concession Holders – There are discounts for pensioners, health card holders and students.